In all my years of research into my Holtzclaw family, I’ve always wondered about the second wife of Jacob Holtzclaw, the 1714 immigrant. What do we know about his wives and how do we know that he was married twice? Hans Jacob Holzklau was first married to Anna Margreth Otterbach, his childhood friend and neighbor in the village of Trupbach. Their marriage is recorded in the Siegen Book of Marriages, 1702-1737 (see Figure 1). The numbers, 1, 2, 3 on the far left of the record tell us that the marriage banns were announced for three consecutive Sundays and that there were no objections to the marriage. The names of the parents are also given in the marriage record, i.e., Hans Henrich Holzklau, Jacob’s father, and Hermannus Otterbach, Anna Margreth’s father. Jacob Holzklau’s occupation is listed as the schoolmaster/schuhlmeister in Oberfischbach. From records located in the Siegen Archives, we know that Jacob Holtzclaw gained permission to leave his homeland and that he, along with his family, emigrated to Virginia in 1713. There is another record from Spotsylvania County, Virginia proving the importation of Jacob and Margaret (Anna Margreth), his wife, in 1724 stating that they arrived in Virginia in April 1714, along with their two children, John and Henry (see Figure 2). All of the information given so far proves that Jacob Holtzclaw’s wife is Margaret (Anna Margreth Otterbach), but on 13 Aug 1729, Catherine Holtzclaw, Jacob’s wife, released her dower rights for land in Germantown that was deeded to Mary Spilman. Who is Catherine Holtzclaw and when did she marry Jacob? There is reference to her as being Catherine Loebericht, but this is actually Agnes Catharina Loebericht, the wife of Jacob’s brother, Johannes Holzklau. Catharina Loebericht and Johannes Holzklau were married on 5 Aug 1694 and lived in the village of Oberfischbach where Johannes was the school master. Johannes died in Oberfischbach in 1707 at the age of 38. His brother, Jacob, became the schoolmaster at Oberfischbach and lived in the village, with his wife, Anna Margreth, and their two children until they emigrated to Virginia in 1713. There is no evidence of a marriage between Jacob Holtzclaw and Agnes Catharina Loebericht nor is their evidence of her immigration to Virginia. Neither of the wives of Jacob Holtzclaw are mentioned in his will dated 15 Jan 1759, only his children and grandchildren. There is a lawsuit that Jacob’s youngest daughter, Eve Wiley, brought against him in 1762 to collect ten pounds promised to her on 22 Aug 1757 “for her service she did to her mother on her Death Bed, & to her Death.” Eve’s mother would be the second wife, Catherine (see Figure 3). From all of the documents we’ve found so far, we can only surmise that Margret Holtzclaw died between 1724 and 1729; that Jacob then married a woman named Catherine and that she died prior to 22 Aug 1757. So, who is Catherine, the second wife of Jacob Holtzclaw? We may never know and that is all the more reason to document the women in your ancestry as readily as the men, they are the other half of our genealogy. 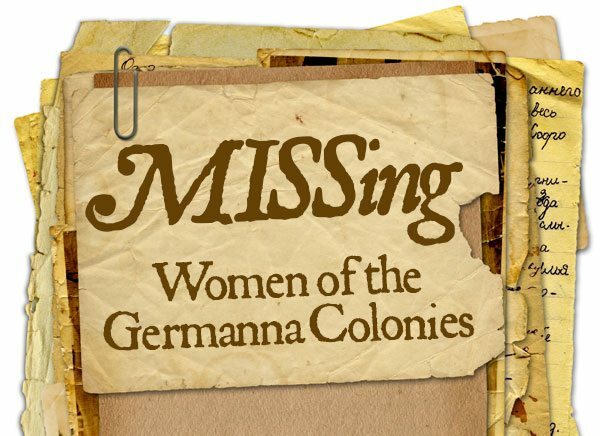 Do you have a MISSing female in your family history and want to find out who she is? Send your queries to: Barbara.Price (at) germanna (dot) org. This article first appeared in the Winter 2016 Germanna Foundation Newsletter. To subscribe to the printed newsletter, become a member.